Two weeks ago I had the privilege of being a member of a board that was charged with selecting our next crop of Commanding Officers. Just being among the team of 17 board members executing that important charter was an honor. The process was above reproach and the results were clearly in keeping with the precept. Having stood a similar board before, I knew my role was going to be that of reviewing the body of work for dozens of my teammates and advocating for their record in ways that would afford the 17 members the opportunity to collectively agree on who was among the best of the fully qualified. In an effort to prepare for the responsibility, I reread the below story about military strategist Colonel John R. Boyd Jr, as shared by his biographer Robert Coram. It’s an exchange between John and one of his many proteges, Tiger. An exchange, or invitation if you will, that he had with many. His hypothesis was that officers had to choose between “Being Someone” – be recognized by the system and promoted – and “Doing Something” – something that would truly make a difference and long outlast one’s personal tenure. Tiger, one day you will come to a fork in the road,” he said. “And you’re going to have to make a decision about which direction you want to go.” He raised his hand and pointed. “If you go that way you can be somebody. You will have to make compromises and you will have to turn your back on your friends. But you will be a member of the club and you will get promoted and you will get good assignments.” Then Boyd raised his other hand and pointed another direction. “Or you can go that way and you can do something – something for your country and for your Air Force and for yourself. If you decide you want to do something, you may not get promoted and you may not get the good assignments and you certainly will not be a favorite of your superiors. But you won’t have to compromise yourself. You will be true to your friends and to yourself. And your work might make a difference.” He paused and stared into the officer’s eyes and heart. “To be somebody or to do something. In life there is often a roll call. That’s when you will have to make a decision. To be or to do. 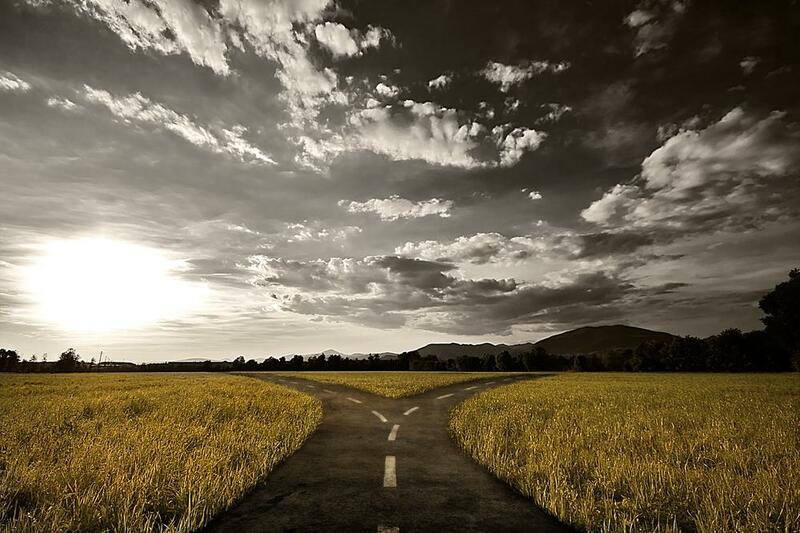 Which way will you go? I choose to read that story periodically just to keep myself honest and ensure I am walking the walk of a Doer. I chose to read it on the plane to Memphis to get my mind right in hopes of being able to better identify and advocate for other Doers in keeping with my role as a Board Member. I agree with Colonel Boyd’s hypothesis and I do believe there are forks in the road. I do believe there are some who choose the “Be Somebody” path. But I am continually reminded that a growing percentage of individuals in our ranks are choosing the “Do Something” path and finding that it is the one that leads to increased responsibility, promotions, and the opportunity to serve in the most significant ways. Likewise, I can’t help but acknowledge that many of those who continue to choose the “Be Somebody” path are finding that it is a dead end: a path filled with false promises, missed opportunities, and decreased credibility. The board experience afforded me the opportunity to review records of many people I have never and likely will never meet. And that review made it clear that the future of our Navy is in good hands. The more we do to ensure our ranks are filled with Doers and not Be’ers, the stronger our team will become. This board made it increasingly obvious to me that in order to be somebody, you must do something. In essence and using Colonel Boyd’s words, being somebody is the result of choosing to do something, many somethings! Do you believe the paths can in fact converge? Are you advocating for Doers or unintentionally taking care of Be’ers? I continue to be optimistic that if we learn our craft, have passion for the team and mission, and make every effort to continually improve them, the rest will take care of itself. This doesn’t mean that we should neglect making tough decisions about what positions we fill when the opportunities present themselves. I believe that what we do in these positions will carry most of the weight.